WHEN: OPENING RECEPTION | JUNE 8, 7-11pm. The exhibition runs through Sunday July 22, 2018. 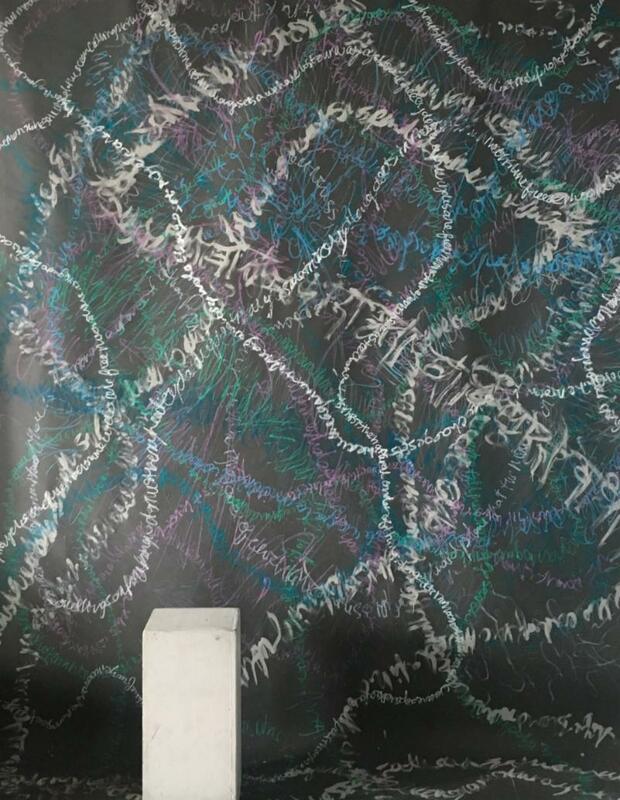 WHERE: Grey Matter Art Space, located on the first floor of the Cork Factor at 1601 Guilford Avenue. The gallery is open from 12 – 5pm Saturday & by appointment. 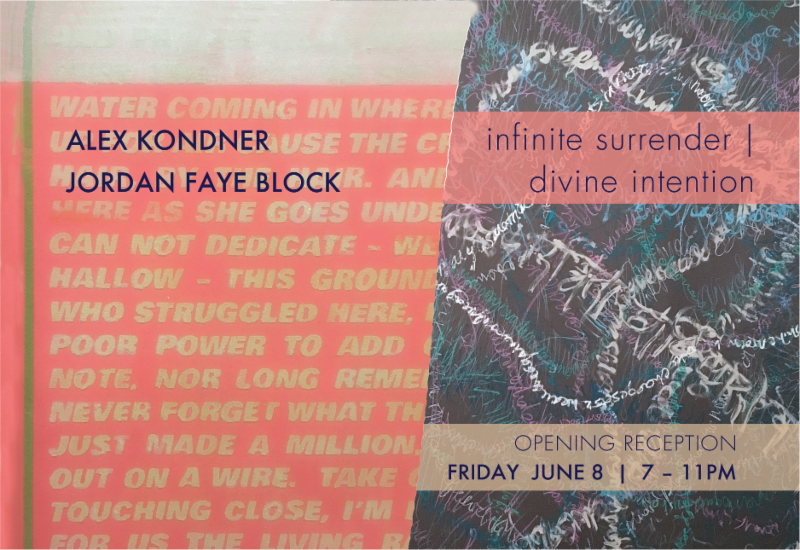 Thrilled to announce the two person exhibition of Baltimore-based painters Alex Kondner & Jordan Faye Block, Infinite Surrender | Divine Intention, opens at Grey Matter Art Space, a gorgeous 3,000 sq. ft. loft & gallery in Station North. Grey Matter Art Space is run by painter & curator David Herman.